Lucasfilm has released the official trailer for Solo: A Star Wars Story ahead of the forthcoming film's premiere at the Cannes Film Festival. Director Ron Howard's standalone Star Wars movie evokes Joss Whedon's short-lived Firefly sci-fi series, which spawned a movie spin-off, and that's a good thing, a very good thing. 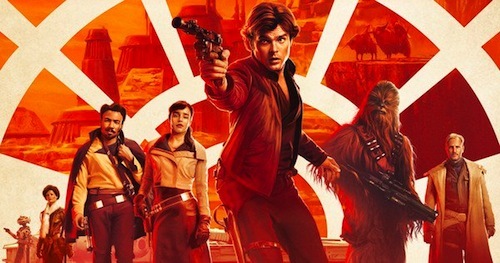 The Star Wars spin-off stars Alden Ehrenreich, Woody Harrelson, Emilia Clarke, Donald Glover, Thandie Newton, Phoebe Waller-Bridge, Joonas Suotamo and Paul Bettany. I've got a (really) good feeling about this and its appeal maybe broader than Rian Johnson's divisive The Last Jedi now available for the home market. What do you think? Let me know in the comments below. Solo: A Star Wars Story is in cinemas 25th May.